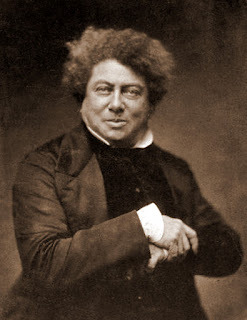 Yesterday was Alexandre Dumas’ birthday and I was going to post this review of The Black Tulip then, but I had computer troubles. So, I bring this to you today instead. I originally posted this review on Project Gutenberg Project. What do you like in a fast paced historical romance? Political intrigue? False imprisonment?Tulip breeding? Err…sure. The Black Tulip has all the hallmarks of an Alexandre Dumas novel. We have a hero who has been falsely accused of treason and imprisoned for life. However, instead of plotting a complicated revenge to visit upon his unknown enemy, he grows a very expensive flower. It all starts in the Netherlands with a harrowing scene where brothers Cornelius and Johan DeWitt are torn apart (literally) by an angry mob for consorting with the French in 1672. Of course there is a very important correspondence between the King of France and Cornelius that could destroy the life of whoever happens to have it in their possession. That hapless innocent is Cornelius’s godson, tulip grower Dr Cornelius van Baerle. The second Cornelius has nothing going on in his life except growing tulips and he is good at it. He is so good at it, in fact, his neighbour and tulip fancier, Isaac seethes in jealousy. Isaac spies on Cornelius 24/7 and when he sees him receive a package from his godfather, he rats on Cornelius to the authorities. Cornelius is so wrapped up in breeding a perfect black tulip, the first of its kind and worth 100000 florins, that he has no idea he is in danger. He’s forgotten all about the package his godfather asked him to keep. Cornelius is tried, convicted as a co-conspirator, and thrown into prison. But it’s not all bad news, Cornelius has two things to live for: the love of the beautiful Rosa, daughter of the jailer Gyrphus, and the three tulip bulbs he smuggled into the prison. Together, Cornelius and Rosa grow the tulips, and their love (aw), while outside forces threaten to separate them. You would think a novel about tulips would be as boring as all get-out, but nope. There were moments when, even though I knew there’d be a happy ending, my heart was thudding in anxiety. I wanted to shout at Cornelius and Rosa to PAY MORE ATTENTION! Stuff is going down! The whole time Cornelius and Rosa have the key to his freedom, but he’s too preoccupied by his flowers and she doesn’t have the ability. Character development isn’t Dumas’s strong suit. The good guys are so Good and the bad guys just evil. Gryphus is ridiculously backward; Isaac is obsessed. Rosa is an angel because she is blonde, wide eyed, and pretty, though a bit coquettish because she’s A Girl! She’s instinctively good, even though her only role model is Gryphus. Cornelius is a Tulip Geek. He collects them, grows them, breeds them. He’s not a swashbuckler like Monte Cristo, the Musketeers, or Georges. In modern romance speak, he’s a Beta hero. I don’t think he even left his house before his arrest. It was all tulips, all the time. Rosa complains that he loves his flowers more than her. I’d have to agree with her. He never really grows in that regard. He loves Rosa, but maybe not as much as his bulbs. There is another character behind the scenes pulling the strings on a whim: William of Orange. He has the power, if he cared, to stop the events that were put in motion. I don’t know anything about the real man, but the character he plays here is one who only steps in when he feels like it. Maybe Dumas is trying to show that our lives are at the mercy of the more powerful. Or maybe he just likes torturing his readers. Since most of the action happens in the prison, Cornelius doesn’t have much opportunity to commit physical acts of heroism. His heroism lies in his intelligence. He must use his skill to grow the tulip in secret. He teaches Rosa what she needs to know and gives her a chance to pull herself out of poverty and ignorance. It’s Rosa who saves the day. Rosa does what needs to be done and acts bravely at the end of the novel. She’s got moxie! If you can’t tell, I LOVED The Black Tulip. It’s an old fashioned romance. (The phrase “heaving bosom” is actually in the book.) There is intrigue and drama. And that ending! Oh, it’s a killer! At times, it’s over the top, but fun. At a little over 200 pages, it’s a doable alternative to The Count of Monte Cristo. Sounds GREAT. I've never read any of Dumas's lesser books, although I crazy love The Three Musketeers and The Count of Monte Cristo. Oo I wonder if I could talk someone into doing a readalong -- that'd be fun. Oh do it! All his books are fun. I also highly recommend Georges. I finished this a few days ago. Quite enjoyable! It gets really good after all the history stuff, so definitely go back to it.